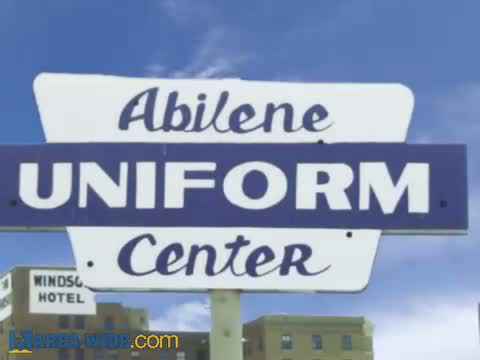 Abilene Uniform Center has been serving the Big Country area for over 40 years. We carry a large selection of name brand items including bands like Cherokee, Peaches, Urbane, and Landau. We carry shoes, smocks, scrubs, and lots more. Come see our wide colorful selection, and our friendly staff. Coats, shoes, smocks, overalls, scrubs, uniforms of all types, patches, accessories, professional jewelry, watches, and other nurse's equipment and related supplies. Uniforms, smocks, medical scrubs, medical supplies, Landau, Cherokee, Koi, EMS, nurse shoes, stethoscopes.